SWOT matrix templates is part of SWOT Analysis solution from ConceptDraw Solution Park. It extends ConceptDraw MINDMAP and ConceptDraw DIAGRAM products with easy-to-use SWOT Analysis tools and templates. Sample 1. 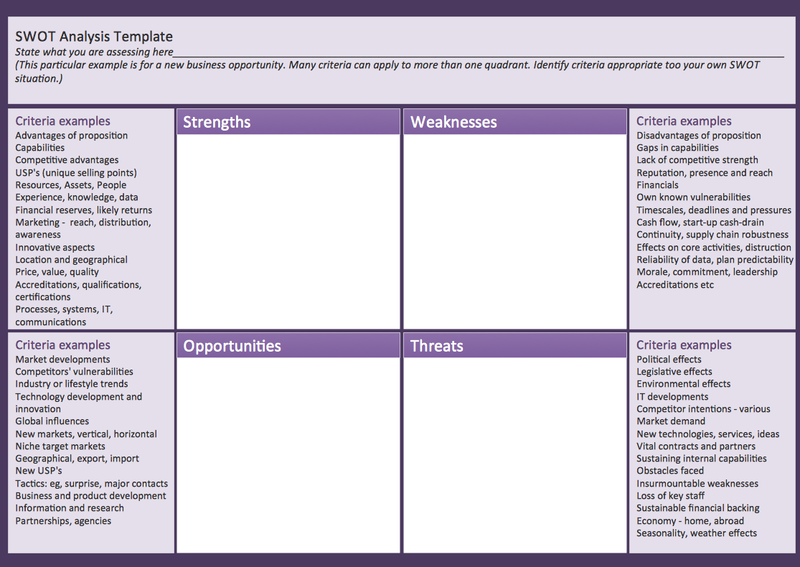 SWOT analysis matrix template.